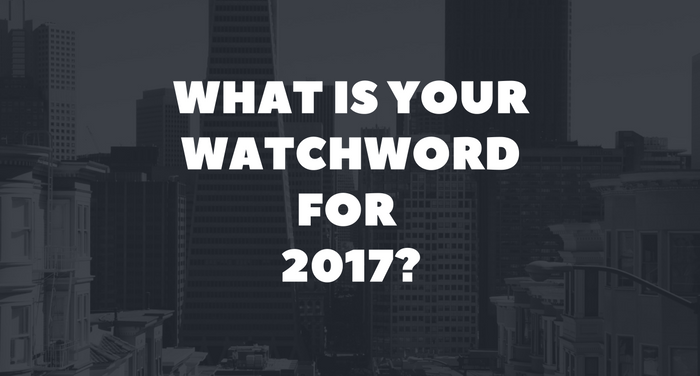 What’s your watch word for 2017? There’s been a lot of talk during recent days, in the press and on social media, about how awful 2016 was. On a political level, there were random changes that brought the Political unrest In Gambia, Democratic Republic of Congo and Ethiopa, the social unrest in South Africa, and the credit crunch in Nigeria. There were terrorist attacks in Nigeria while the situation in Somalia and Sudan remains bleak. But this perspective is by no means the whole story. We also witnessed extraordinary feats and accomplishments throughout 2016. Ines Boubakri Becomes First African Woman to Win Olympic Medal in Fencing, Wayde van Niekerk of South Africa Wins Gold AND Breaks Michael Johnson’s 17-Year World Record at the Rio Games. In Technology, Ouarzazate complex in Morocco becomes the world’s biggest and most affordable solar facility, while the number of mobile phone subscriptions per 100 people soared from 18 in 2006 to 71 in 2014. It’s all about attitude and mindset. One of my biggest lessons of 2016 was the importance of ‘Speaking Up.’ I should have spoken up, asked for that favour, or said ‘no’ far more than I did – particularly in 2015 when decisions I made then had a big impact on my results this year. “Just do it” is my word for 2017. I know! That’s three words, but the ‘do’ word is quite sufficient. Take action and stop giving excuses on why things won’t work. Sharing with you how some of my favourite businesses have built iconic and successful brands through The Afropreneur Podcast. Expanding The Afropreneur key activities to include Workshops and other services. This will begin with a Pitchdeck Workshop in February. Adding to my team so that I can stop doing the tasks I don’t need to do, and focus on those of higher strategic value. 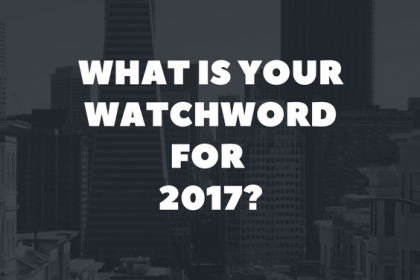 I’d love to know what you’re going to be focused on in 2017…. tell me your word for 2017.